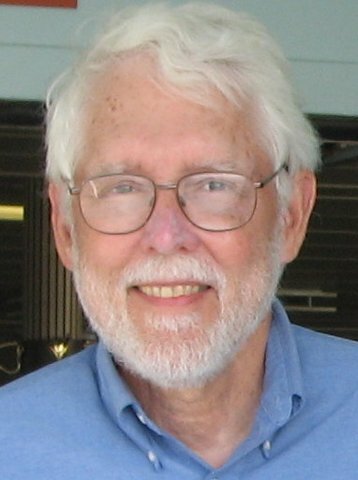 William B. Pickett is professor of history emeritus at Rose-Hulman Institute of Technology, where he taught for thirty-five years. A graduate of Carleton College, he earned his masters and doctoral degrees at Indiana University. He was a Fulbright professor in Japan, taught on US military bases in Korea, and at the American University of Kyrgyzstan. He is editor of Technology at the Turning Point (1978) and author of Homer E. Capehart: A Senator’s Life (Indiana Historical Society, 1990); Dwight David Eisenhower and American Power (Harlan Davidson, Inc., 1995); To Be the Best: Rose-Hulman Institute of Technology, 1974-1999 (Rose-Hulman, 1999); and Eisenhower’s Decision to Run: Presidential Politics and Cold War Strategy (Ivan R. Dee, 2000). His current research is for a book entitled Eisenhower and Summersby: The Supreme Commander and his Wartime Aide, A Story of Duty, Gossip, and Presidential Politics. Voice of America aired his commentary on the 50th anniversary of the bombing of Hiroshima and CSPAN televised his lecture at the Eisenhower Library on writing of Eisenhower’s Decision to Run. He was a featured speaker at the George F. Kennan Centennial Conference at Princeton University (February 2004) and edited the monograph: George F. Kennan and the Origins of Eisenhower’s New Look: An Oral History of Project Solarium (Princeton University, 2004). He is also author of “New Look or Containment? George F. Kennan and the Making of Republican National Security Strategy” in The Princeton University Archives (Princeton, N.J.: September 2005) and “Why Eisenhower Became President,” in the proceedings of a conference entitled: “Eisenhower’s National Security Policy,” Virginia Military Institute, Lexington, Va. 2005. He was co-chair of the Rose-Hulman American Revolution Bicentennial Conference on American Technology – Past, Present, and Future. It featured presentations by professors Thomas P. Hughes, Ruth Schwartz Cowan, Melvin Kranzberg, Paul Horwitz, Joseph Weizenbaum, and Victor Ferkiss. He was co-chair of an international conference on the Internet and society, “The World Wide Web at Ten: The Dream and the Reality,” at Rose-Hulman Institute of Technology in 2004 and in 2006 co-founded the Web History Center. He is a member of an advisory panel for the national Eisenhower Memorial currently under construction in Washington, D.C. He currently resides in White Bear Lake, Minnesota.